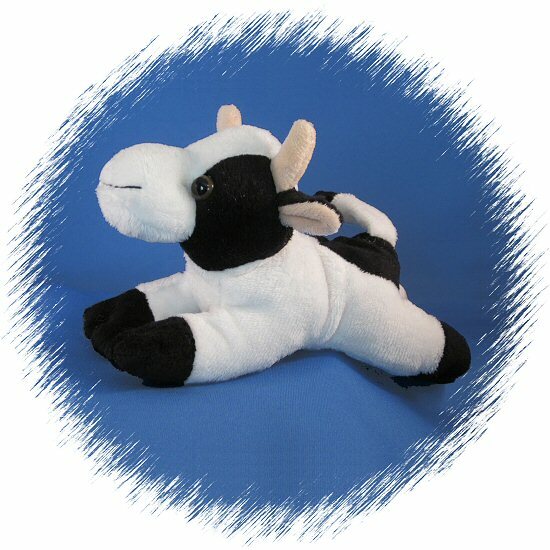 This sweet little Handfuls stuffed cow is looking to be adopted into a forever home. 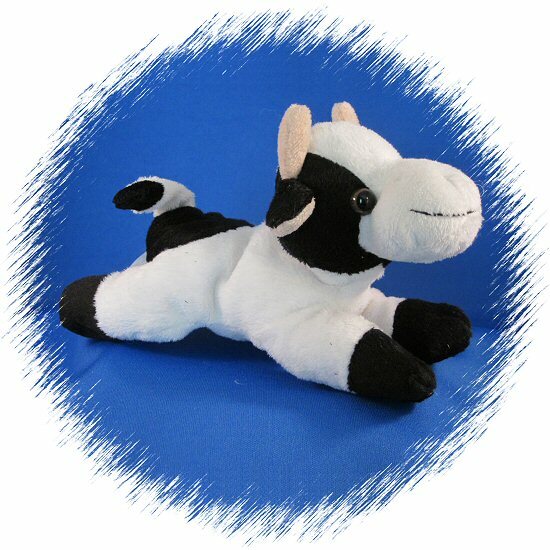 Always seen with a big smile and welcoming eyes, this friendly plush cow has soft white and black fur, cream horns and inner ears, and a fun floppy tail. 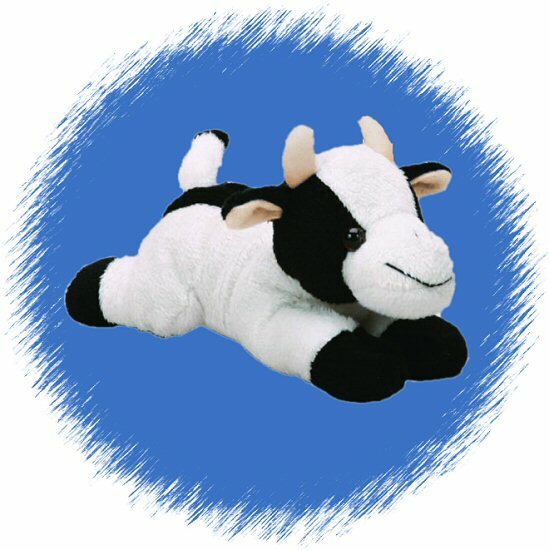 With Handfuls being the perfect take-along size, this lovable cow stuffed animal makes a wonderful friend ready for imaginative adventure. Fun Facts: Did you know that you can get a good idea as to the age of a cow with horns by counting the number of rings on them? Kinda sounds like a tree to me!